The BA6486FS is a one-chip IC designed for driving 12V FDD spindle motors. 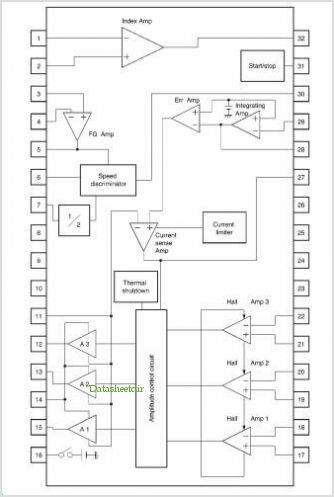 This high-performance IC employs a 3-phase, full-wave soft switching drive system, and contains a digital servo, an index Amplifier and a power save circuit. The compactly packaged IC reduces the number of external components required. By ROHM Co. Ltd. This is one package pinout of BA6486FS,If you need more pinouts please download BA6486FS's pdf datasheet. BA6486FS circuits will be updated soon..., now you can download the pdf datasheet to check the circuits!